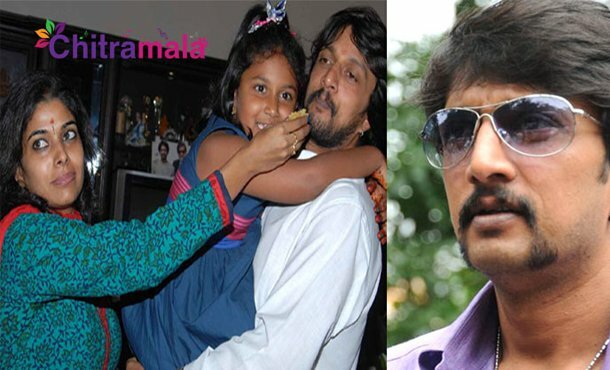 There are some disturbances in the married life of Kannada star hero Sudeep. The actor recently revealed few interesting things about his married life. He has plans of seeking the divorce from wife, and both of them have attended court sessions too. They enjoyed 14 years of married life and decided not to take it forward because of some unnecessary disturbances. Meanwhile, they have changed their mind and stepped back from seeking the divorce. The reason for the same is the future of their daughter Shaanvi. Sudeep said that he decided on it because he does not want his daughter’s life to be affected. The court has welcomed this decision and finally dismissed the petition for the divorce. Looks like, they are going to re-start a wonderful life yet again.